If you read our post about which cities have the best drivers, you may be curious as to which cities are on the other end of the spectrum. 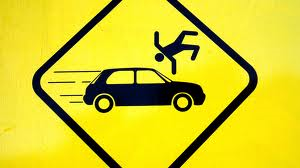 After all, you need to know which places to avoid if you are worried about getting into an accident. Our other article went into detail about Allstate’s America’s Best Drivers Report, so you know what that entails. But for the worst drivers, it’s not really fair to just base the rankings on the number of claims. Miami took the top slot, and the competition wasn’t even close (although this isn’t exactly an award to be proud of). Miami ranked first in both fatalities and pedestrians killed. Philly ranked second place in the number of collisions and pedestrian strikes, even though they only ranked 16th as far as alcohol-related deaths were concerned. It’s clear that Philadelphia could practice some defensive driving. This city may be close to Miami, but the drivers are so bad it deserves it’s own spot on the list. The city only finished in 11th place as far as number of accidents is concerned, but they finished third place for fatalities. And they hit a lot of pedestrians. Florida just really isn’t fairing well when it comes to their drivers. Tampa didn’t rank too high in any particular category, but they ranked just high enough in each one that collaboratively they take the number four spot. They finished 18th in number of accidents, 5th in fatalities, 11th for alcohol deaths, and 10th for pedestrians killed. Baltimore ranked second place in Allstate’s compilation, meaning that their drivers get into a lot of accidents. Unfortunately, this finish pushed them into the fifth spot, even though they were out of the top ten for fatalities, alcohol deaths, and strikes of pedestrians.